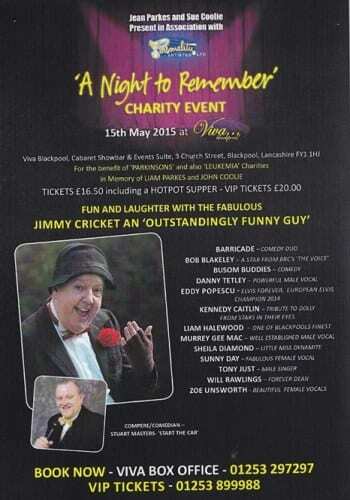 TV entertainer Jimmy Cricket has been invited to take part in a fundraiser in May with a distinctive Norman Wisdom feel. This is because the charity gala on Saturday 6 May is being organised by Barbara Lindsay – who was legendary comedian Sir Norman Wisdom’s PA – and produced and presented by the impresario Johnny Mans – Norman’s agent for many years. The show will even feature an impersonator of the man himself as Glenn M Ford, who performs as a tribute to Norman Wisdom, will be part of the show’s line-up. This event is being organised by Barbara to raise funds for churches in and around the town of Whittlesey within the Cambridgeshire Fens. 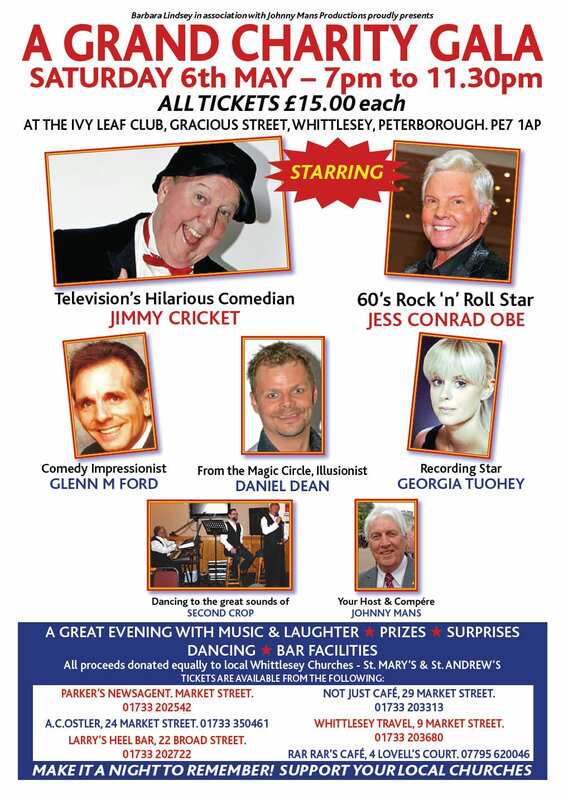 With the Ivy Leaf Club chosen as the venue, the evening’s proceedings which Johnny Mans has put together, will not just include himself as compere and Glenn Ford as Norman, alongside Jimmy, it also features 60s star Jess Conrad, illusionist Daniel Dean and a host of other entertainment surprises.